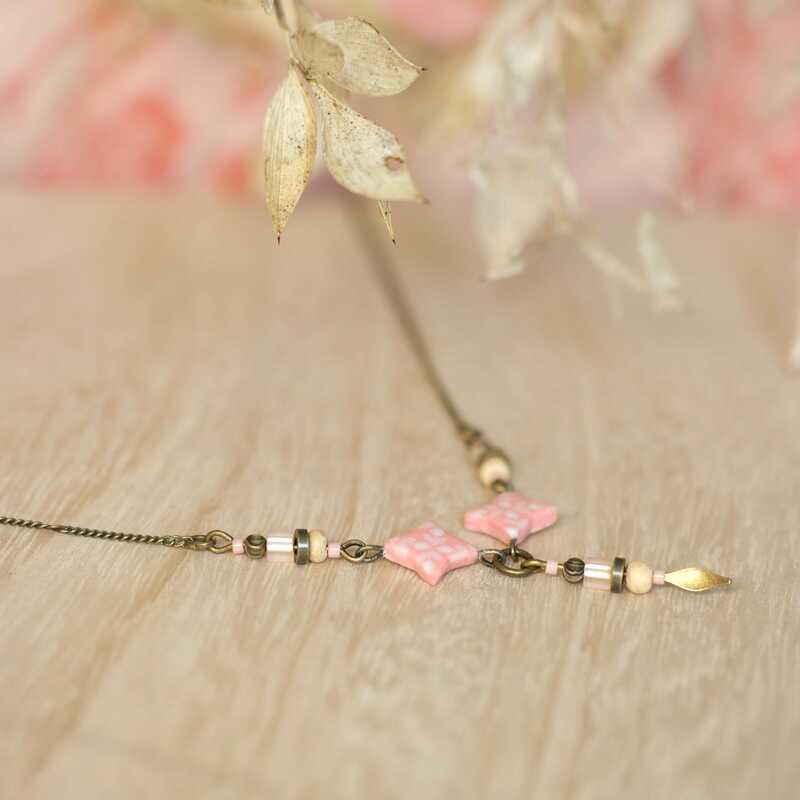 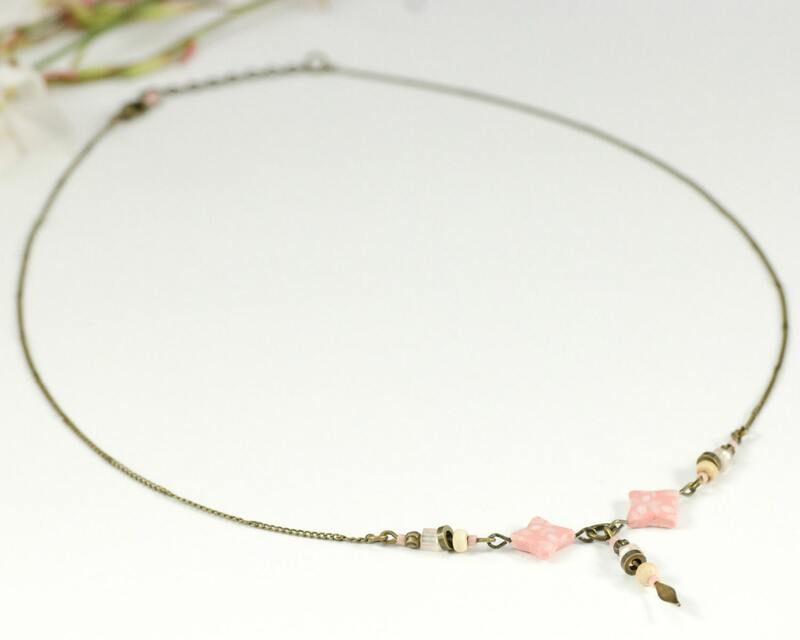 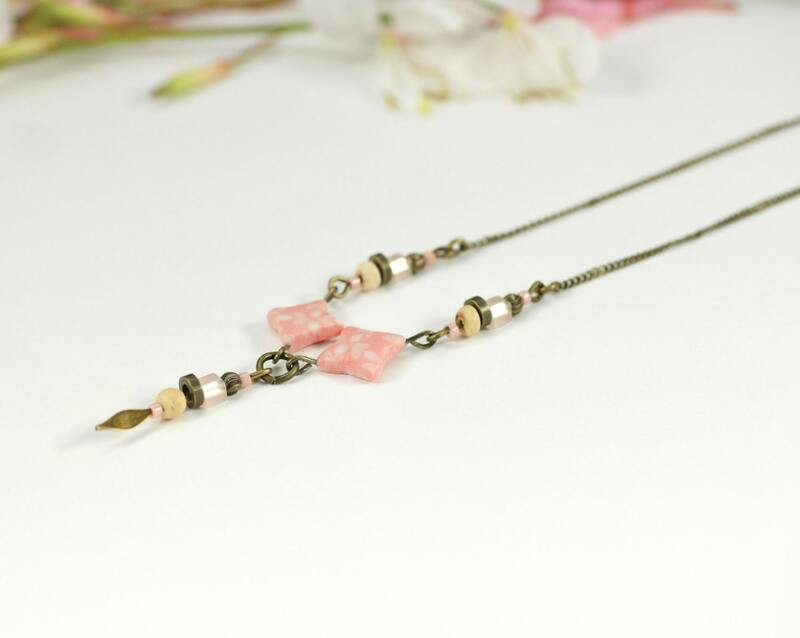 Simplicity and poetry for this radiant necklace with two star-shaped elements made of polymer clay with pink and white floral handmade patterns, ornamented with a little pendant with wooden, glass and brass beads on a thin brass chain. 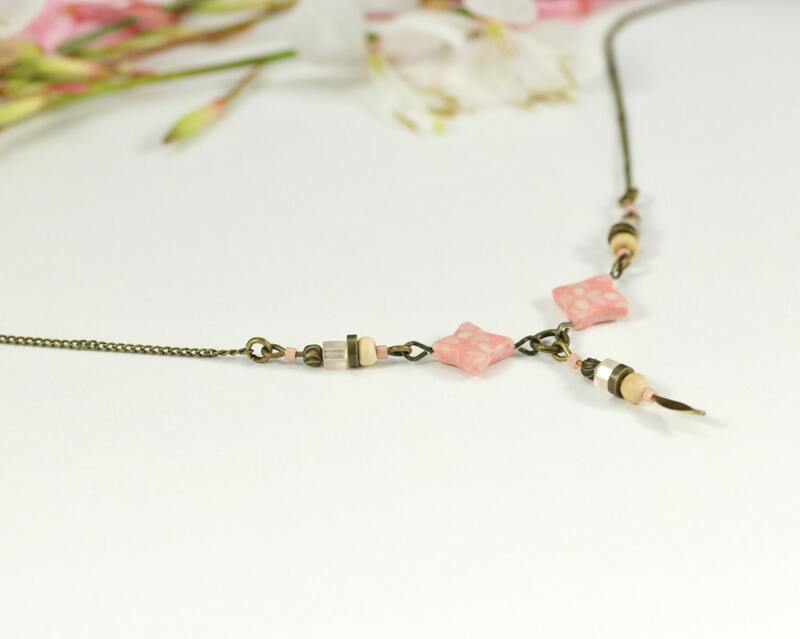 I entirely created the pink polymer clay pattern, using modelling techniques that I have implemented in my workshop. 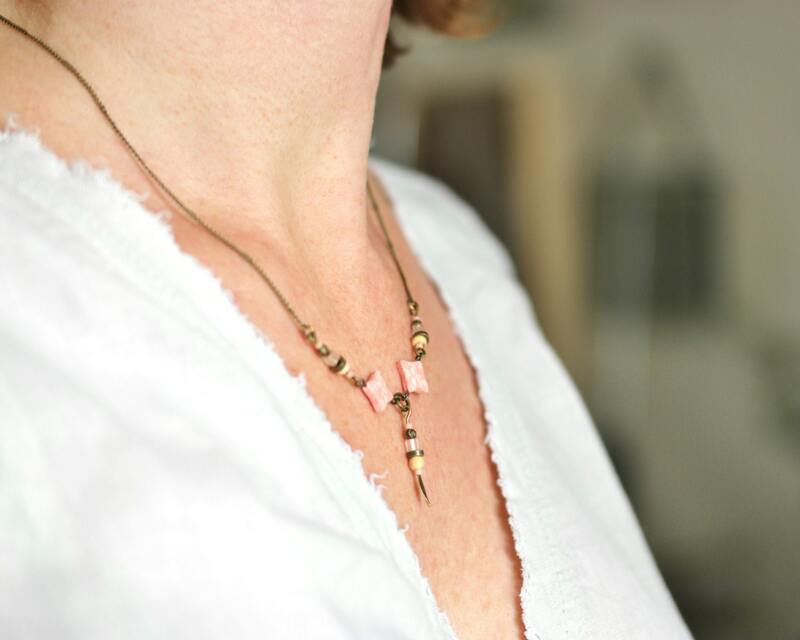 With this material, I finely shaped these stars, that were baked, sanded and varnished.